Hi everyone! 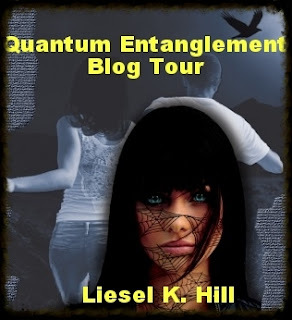 This is the last stop for the Quantum Entanglement blog tour and today I'm going to present you with a review of the book together with a guest post from the author, Liesel K. Hill. 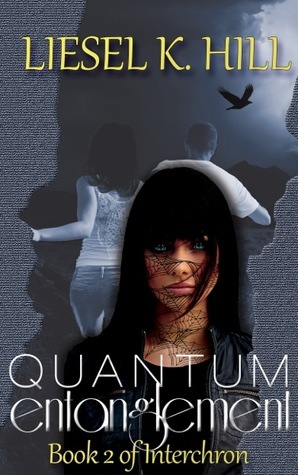 Quick Review: Five months after traveling to a post-apocalyptic future where collectives reign supreme and individuals have been hunted to the verge of extinction, Maggie Harper was returned to her own time until the threat to her life could be neutralized. She thought Marcus and the others would return for her within a few weeks, and now she’s beginning to worry. Detailed Review: This was such an explosive book. Really, I'm not joking here. To me, what stood out most in the book were the characters. Here, you get to know the characters even more in depth than in Persistence of Vision. The new characters didn't disappoint either. One of them is Justine, an assassin who's sent to annihilate Maggie, who fulfills the role of the Executioner and has now gotten most of her memories back. Justine was everything from wicked to scary and sadistic, everything you'd expect of an assassin, except picture it 1000 times more brutal. Yup, that's Justine. The other new character was a woman who. like David had just come out of the collective, but she was a very tough nut to crack, this one. She was all defiance. Karl and Marcus certainly found it hard to break her but they did manage to give her a name. I won't tell you what it is. I liked the story in this book as well and thought it to be very well-developed because it shows a clear picture of how the different groups: collectives and individuals came into place as Maggie Travelled through time. Also, there were literally so much going on in the book. There were three stories from different perspectives to contend with so you will NEVER find this boring. But if you do find it boring you to sleep, you're missing something. Because Liesel K. Hill is a very very very talented writer. How many times have I said that? NOOOOO I NEED THE NEXT BOOK SO BAD!!! P.S. The cover sure is creepy... Imagine the girl staring at you in your sleep. And that's Justine. And don't forget to read the guest post after the review!!! Brief Review: Liesel has nailed everything down that is needed to make an unbelievably and irresistibly good dystopian book. This book was the prime definition of perfection and a good book that shouldn't be ignored! Why Bother With the Craziness of Writing? Hello Fabulous Readers! Today is the final day of my Quantum Entanglement blog tour. Though it wasn’t quite as epic as the tour I did for book 1, in many ways it was more stressful. I’ve had more going on, more things to worry about, more work to do, and more tasks to juggle. Do you ever wonder why we writers bother? Writing is hard work. It’s a hassle. There are many aspects of it that are long, tedious, and less-than-enjoyable. And yet more people than ever before are uploading their work to publication sites, hoping the world will latch onto their words. One truth that most people don’t know, and aspiring authors don’t really want to hear, is that writing the book is only half the battle, and the smaller half at that. Promoting, selling, blogging, and networking are actually harder and take more time. They can result in headaches--often a result of the authors banging our own heads against the wall--and take time away from doing what we really love: writing. So why do it? Why subject ourselves to the arduous hell of writing, publication, and promotion? There are so many answers to that question, and they vary from author to author, but in my opinion, they all boil down to the same thing: we don’t have much choice. There are many professions in which the people who follow them are answering a call they can’t ignore. They’re passionate about their work and, despite the headaches, wouldn’t do anything else. Writing is no different. I identify with all of these. Once I fully conceive a story, once it’s fully formed and I start to feel like the characters are good friends, I know I’ll have to write it sooner or later. It’ll just keep me up at night until I do. It’s a call, a compulsion, a necessity for sanity. A passion. A way of life. Oh, and by the way, it’s dang fun. I hope you’ve enjoyed my blog tour and book 2 of my Interchron series. I plan to keep putting fingers to keyboard for a long, long time. This sounds pretty awesome! Assassin stories are always a hit or miss for me. Great review & post!